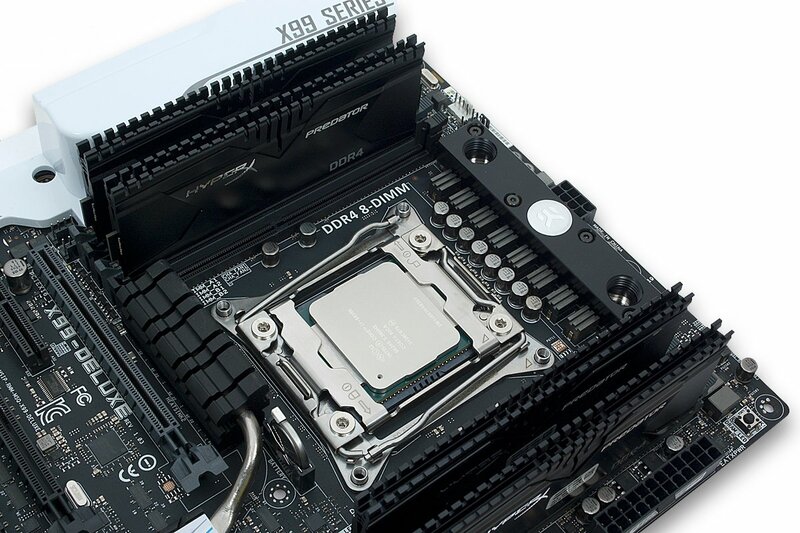 EK Water Blocks, Ljubljana based premium liquid cooling gear manufacturer, is proud to introduce EK-MOSFET ASUS X99 – a new water block for water cooling of the power regulation (VRM / MOSFETs) module on ASUS® X99 series motherboards. Base of these water coolers is made of nickel plated electrolytic copper while the top is made of quality acrylic glass material or POM Acetal (depending on the variant). 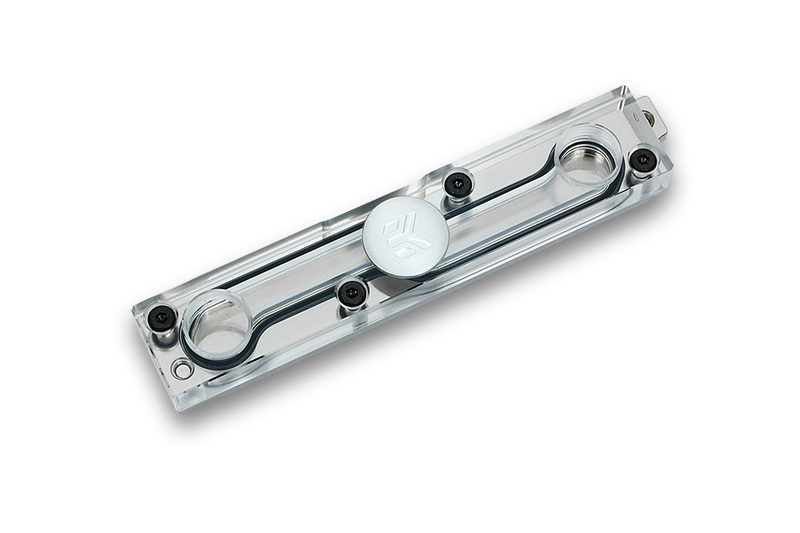 As an additional safety measure this product features pre-installed nickel-plated brass standoffs which prevent incorrect installation and utilizes ASUS factory provided backplates to maximize cooling performance. This product is a must have for every overclocker using ASUS X99 series motherboard as it successfully tames the heat produced by an overclocked CPU. 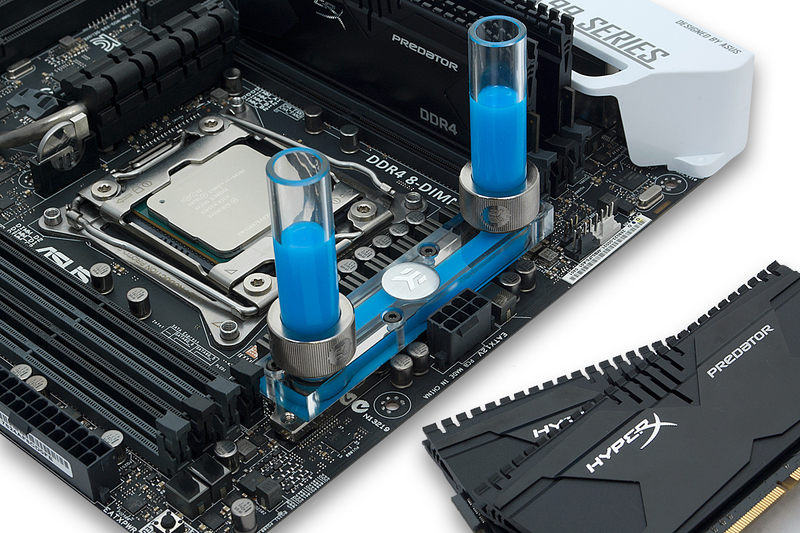 EK-MOSFET ASUS X99 features a high flow design allowing the water block to be easily used with systems using weaker water pumps and also allow for reinstallation of the white plastic I/O cover frame for best visual effect. EK-MOSFET ASUS X99 comes in two different variants and is readily available for purchase through EK Webshop and Partner Reseller Network.